(Washington, D.C., April 4, 2019) – U.S. Secretary of Agriculture Sonny Perdue will deliver the keynote address at the Fort Valley State Ham and Egg Legislative Breakfast and tour the National Detector Dog Training Facility in Newnan, Georgia TOMORROW, Friday, April 5th. WHAT: Secretary Perdue will deliver the keynote address at the Fort Valley Ham and Egg Legislative Breakfast at 7:30am ET. Following the remarks, Secretary Perdue will hold a media availability. WHEN: TOMORROW, Friday, April 5th beginning at 7:30am ET. WHAT: Secretary Perdue will tour the National Detector Dog Training Facility, home of the CBP/APHIS Beagle Brigade. Following the tour, Secretary Perdue will hold a media availability. WHEN: TOMORROW, Friday, April 5th beginning at 11:30am ET. *NOTE: Media interested in attending Friday’s events must RSVP to press@oc.usda.gov by TODAY, Thursday, April 4th at 3:00 p.m. ET. BACKGROUND: USDA trains dogs at its National Detector Dog Training Center in Newnan, Georgia. The center is designed and equipped to train detector dog teams (canines and handlers) to safeguard American agriculture. 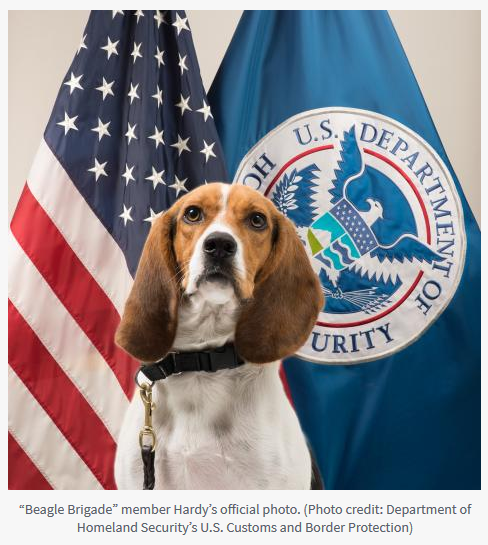 USDA’s Animal and Plant Health Inspection Service Plant Protection and Quarantine program and the Department of Homeland Security’s U.S. Customs and Border Protection (CBP) use detector dog teams, known as the Beagle Brigade, to search for prohibited agricultural products at major U.S. ports of entry (airports and land border crossings), mail and cargo facilities. 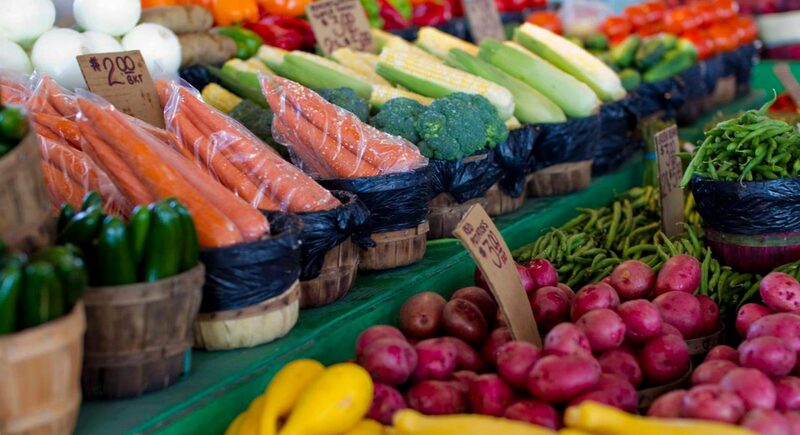 The teams detect prohibited agricultural products that can carry foreign pests and diseases that threaten U.S. agriculture and forests. 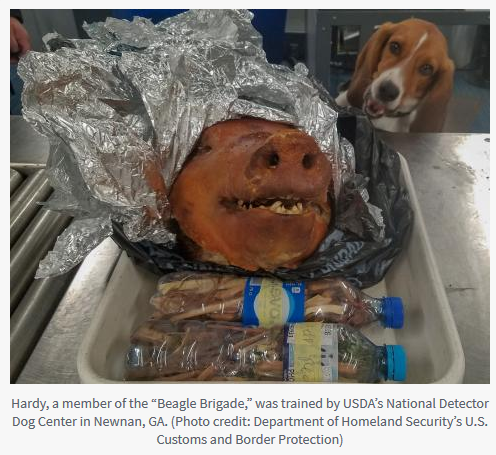 When Hardy, USDA trained detector dog, sniffed out a roasted pig head in traveler baggage at Atlanta’s Hartsfield-Jackson International airport in October, it underscored the efforts USDA and its partners are undertaking to keep African Swine Fever (ASF), a swine disease that could devastate the U.S. pork producers, from entering the country.